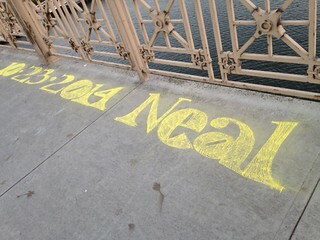 Sean Neal died in Baghdad on October 23rd. The 19 year old Marine was from Riverside California. Sean loved music and books. Among his favorite books were The Giving Tree and Calvin and Hobbes, as well as Catch 22 and the Bible. Sean is the first soldier to die in Iraq since November 2011. Tomorrow is Veterans Day. 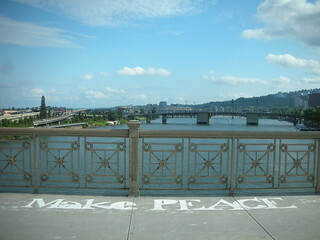 Nancy Hiss will return to chalking the names of the dead tomorrow on the Burnside Bridge where she last chalked in early 2012. You are currently browsing the Iraq Names Project blog archives for November, 2014.